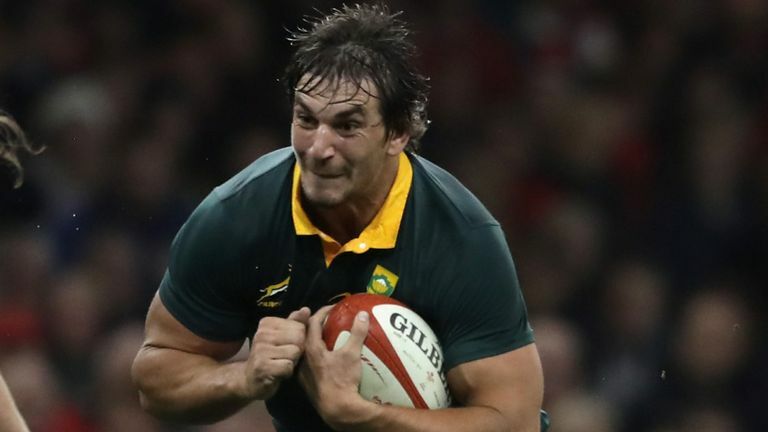 Bruising Springbok lock Eben Etzebeth could soon trade Super Rugby for the Top 14, according to French media. As Minute Sports reports, the second rower has been in contact with Toulon president Mourad Boudjellal, who is keen to lure him to France where he could earn a reported €1 million (about £900,000). “Mourad Boudjellal has been in regular contact with the player for several years and would have one step ahead of everyone on this issue. Still, the arrival of the player will be expensive: above one million euros annually,” the publication claims.